This Honey Pepper is described by the company as, "the perfect marriage between sugar and spice", going on to say that it, "starts with a smooth sweet taste and ends with a peppery hot finish". The first flavors that I identify is a light but sweet teriyaki sauce with hints of fruit. The black pepper becomes noticeable. 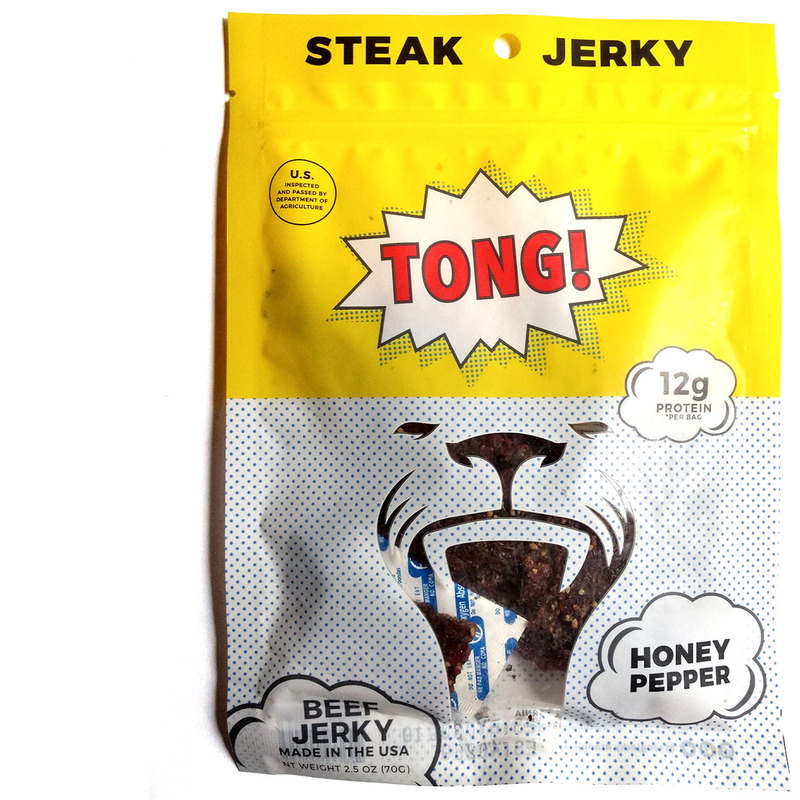 The chewing brings on a bit more teriyaki definition, along with notes of garlic and ginger. As for being labeled, "Honey Pepper", I don't taste any honey at all. It certainly is however, sweet. But that smooth, almost buttery character of honey, is not identifiable. The black pepper, on the other hand, stands out well. I get a lot of cracked black pepper flavor, but not necessarily freshly cracked. Moreover, it's not really the "peppery hot finish" that the company described. I still see this as "mild" on our heat scale (level 1 out 5), but I'm sure others might see as "mild medium". Otherwise, the primary taste profile is a sweet, but light teriyaki sauce with hints fruits, well seasoned with black pepper, and notes of garlic and ginger in the background. 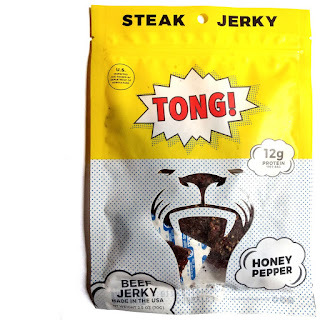 This Honey Pepper variety from Tong Jerky offers up a lot of black pepper flavor for those love that age-old, tried and true spice. But while there isn't really any honey flavor in this, there's still plenty of sweet to turn this into a nice sweet & spicy variety. 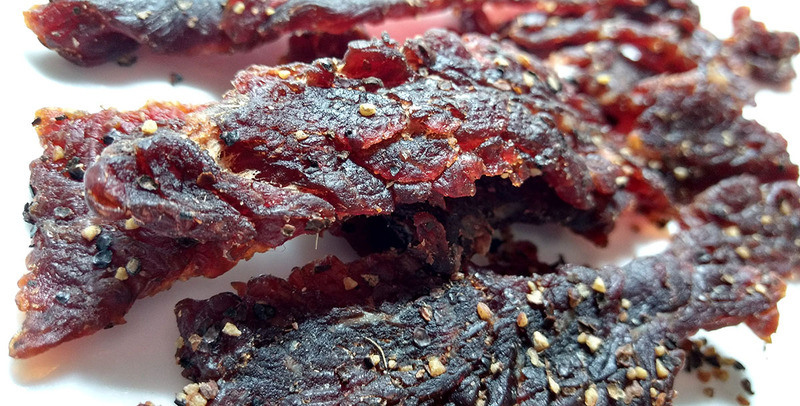 Think of this more as a teriyaki style jerky boosted with black pepper, and faint touches of fruit and ginger. The semi-moist slices of beef are easy to chew and take on steak-like texture.